-There are at least three grammatical violations and I’m probably the only one who noticed, but we all have our issues. Carry on. Everyone, meet Gavin. He just turned seven (happy belated birthday, buddy! ), he lives in Michigan, and he loooooooves hockey. His mom Karen was actually a collegiate hockey player and trainer, so it’s pretty much all he’s ever known. And, in his short seven years, Gavin’s learned a lot about taking risks. 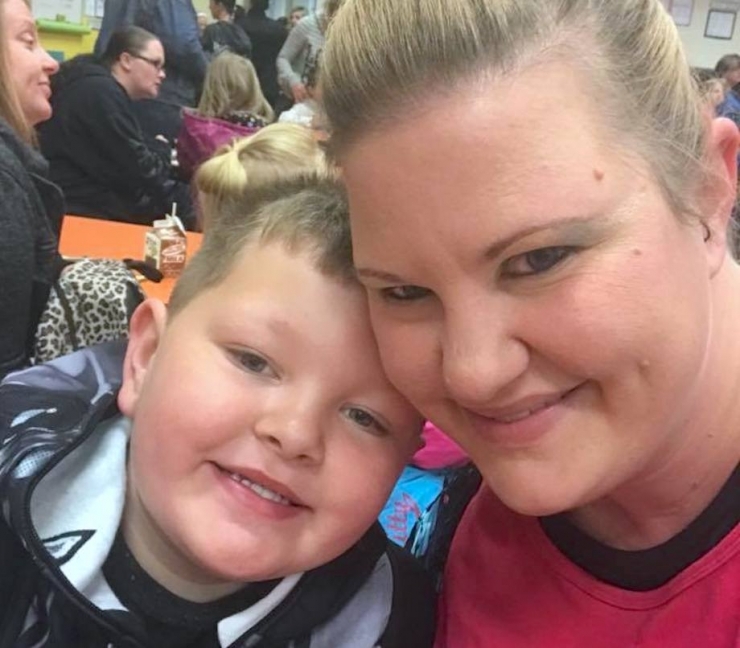 “Gavin started skating at 18 months old,” Karen said. You could hear the pride in her voice when she spoke, thrilled her firstborn was following in her footsteps. Skate steps? Ice tracks? 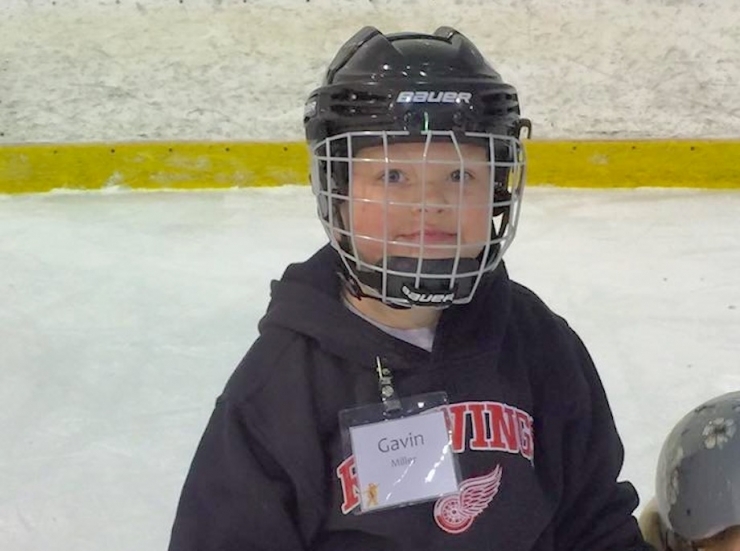 At four, they signed him up for a beginner hockey class, and Karen remembers Gavin struggling from the start. 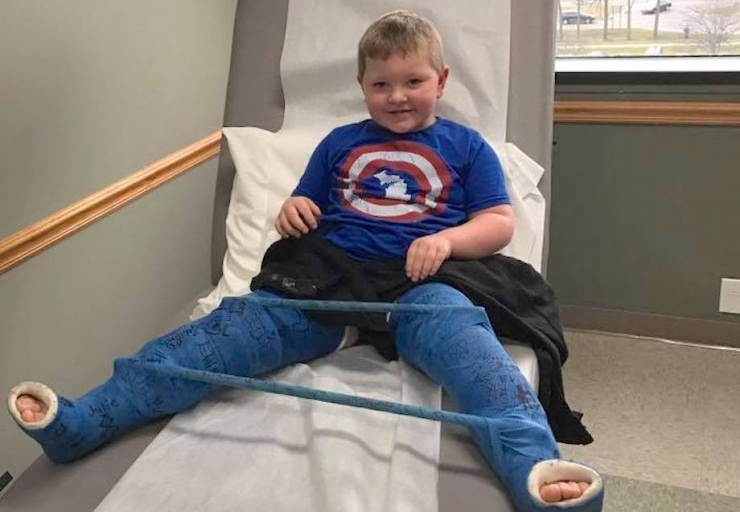 Gavin’s pediatrician diagnosed him with a sprained knee, but Karen wasn’t sold – she’d seen her share of sprains and strains, after all, so she pushed for an orthopedic consult. 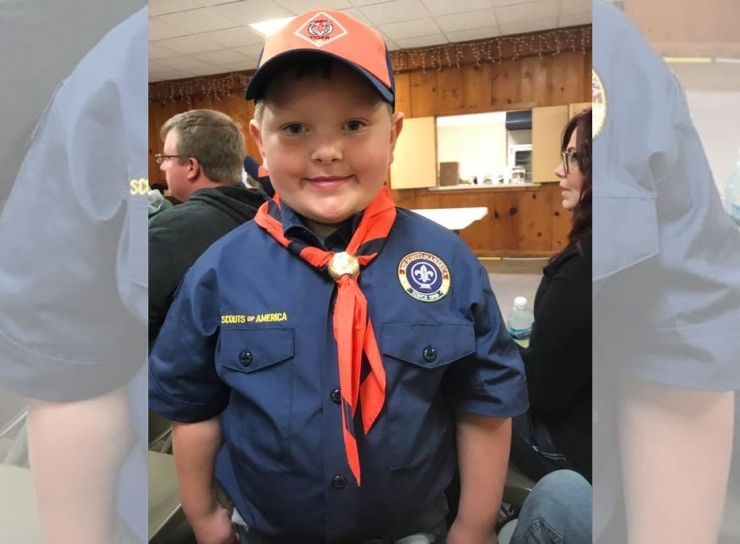 The surgeon ordered an x-ray, and knew immediately what was wrong: Gavin had Legg-Calvé-Perthes disease (LCPD), a degenerative bone disorder caused by an unexplained interruption of blood flow to the head of the femur. The good news is, in most cases, very little intervention is necessary; the diseased tissue dies off and is replaced by new, healthy tissue all on its own. 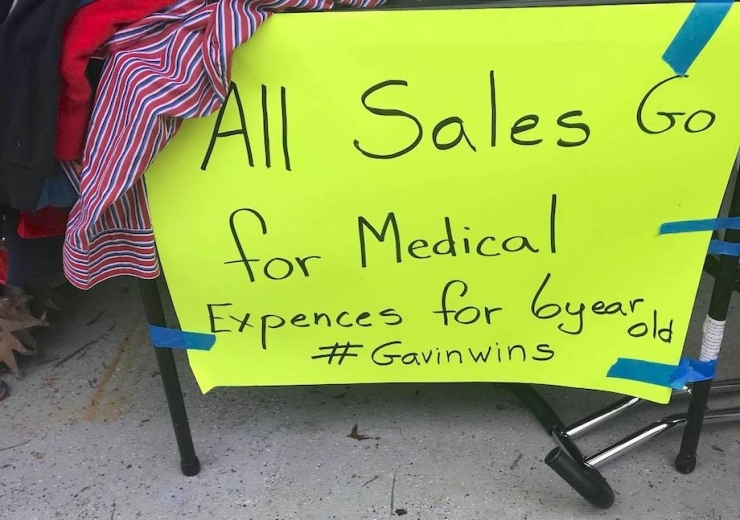 Gavin’s doctor was hopeful this would be the case for him, but there was one caveat: he had to take it easy and let nature take its course. That meant no more roughhousing, no more contact sports, no more hockey. It was a hard pill to swallow. Gavin was barely five years old, and his little brain couldn’t really understand why he had to stop doing all the cool stuff boys like to do. 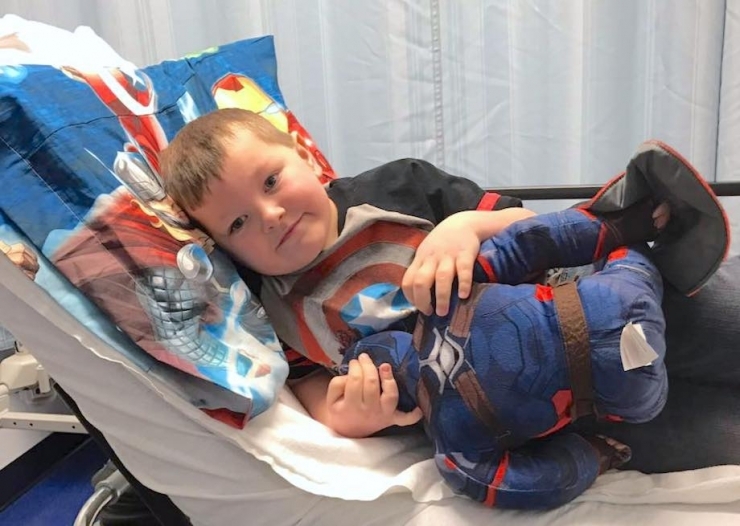 But it was better than surgery, his parents reasoned, so they strictly limited Gavin’s activity, started physical therapy, and hoped for the best. It wasn’t enough. 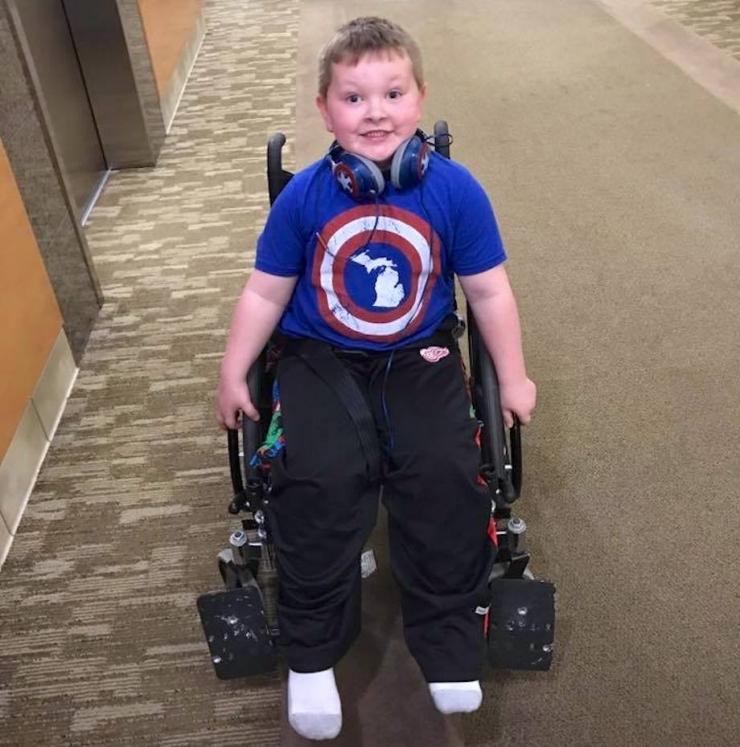 The pain and limping had gotten much worse, and Gavin needed a wheelchair more and more. He underwent surgery in January of 2017 to restore the range of motion in his hip and improve his mobility, and his doctors were optimistic that would do the trick. 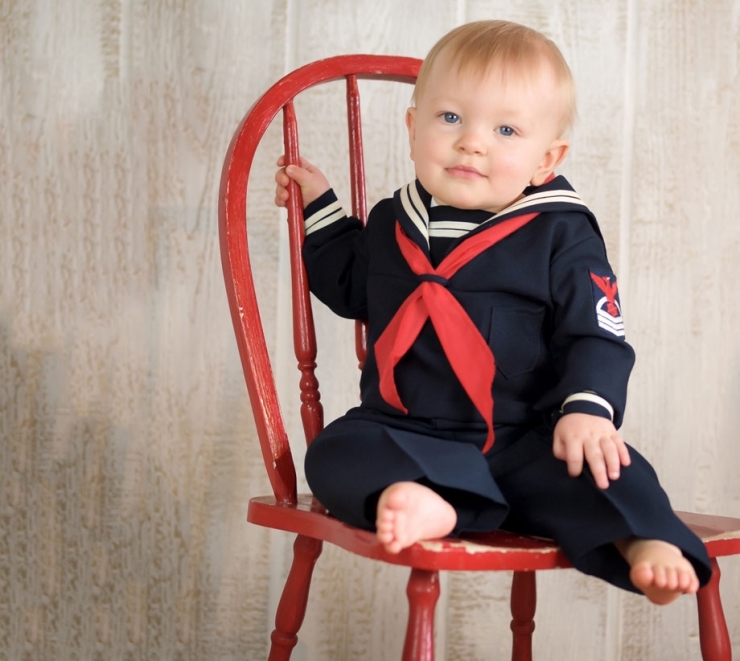 He spent seven weeks in this thing, but he made it work. And as soon as the cast came off, Gavin was off and running! Well, not exactly, but he was ready. 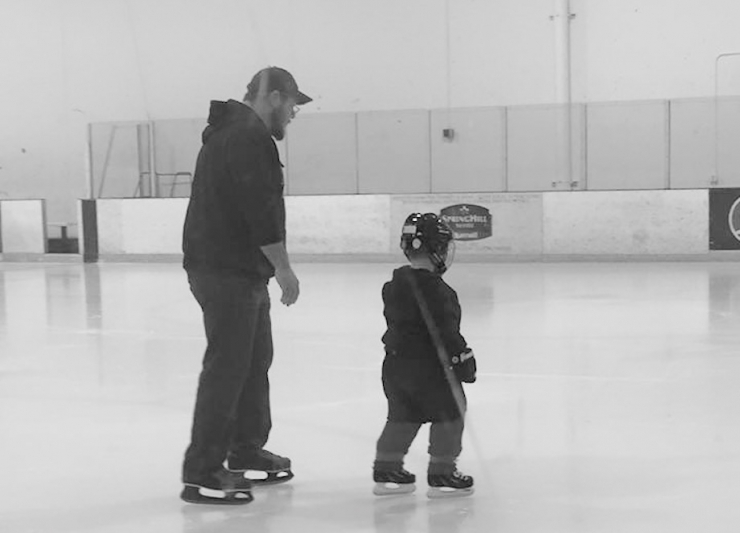 He slogged through PT learning to walk again, getting stronger, and looking forward to getting back on the ice and back to being a kid. Slowly, he was able to do more and more physical activities, within the limitations imposed by his doctor, of course. But then the pain came back, and Gavin’s newfound freedom ground to a halt. 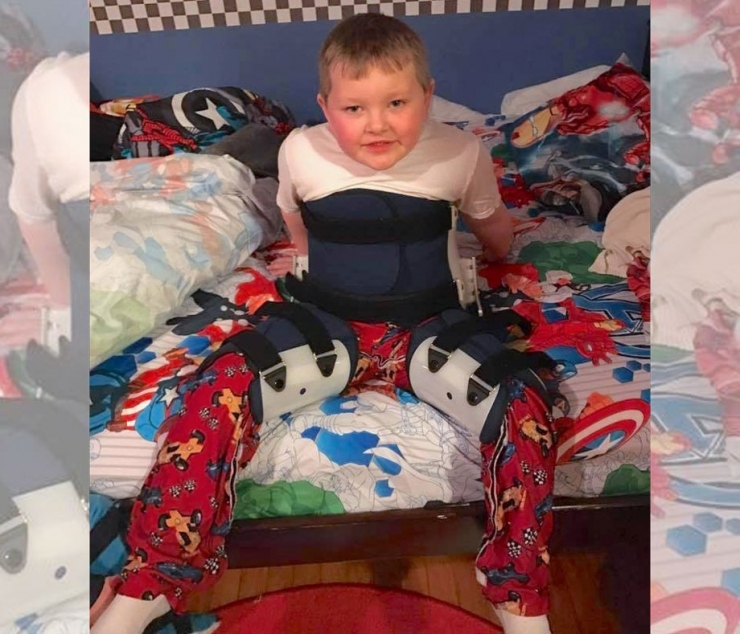 The surgery had done what it was supposed to, but Gavin was so strong, the braces he wore at night couldn’t contain his movements, and he wasn’t healing properly. Left untreated, Gavin would always be in pain, always have a limp, and most likely need a hip replacement in his 20s. And he would never, ever play hockey. 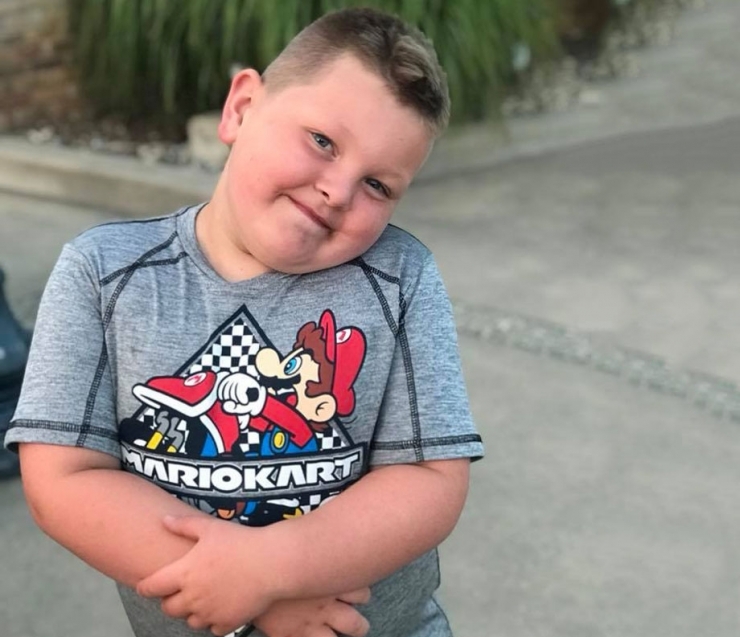 Gavin’s parents made the agonizing decision to schedule a second surgery for their son, one that would reduce the ball of his femur in the hip joint, re-angle it away from his pelvis, and allow the bone to regenerate properly. 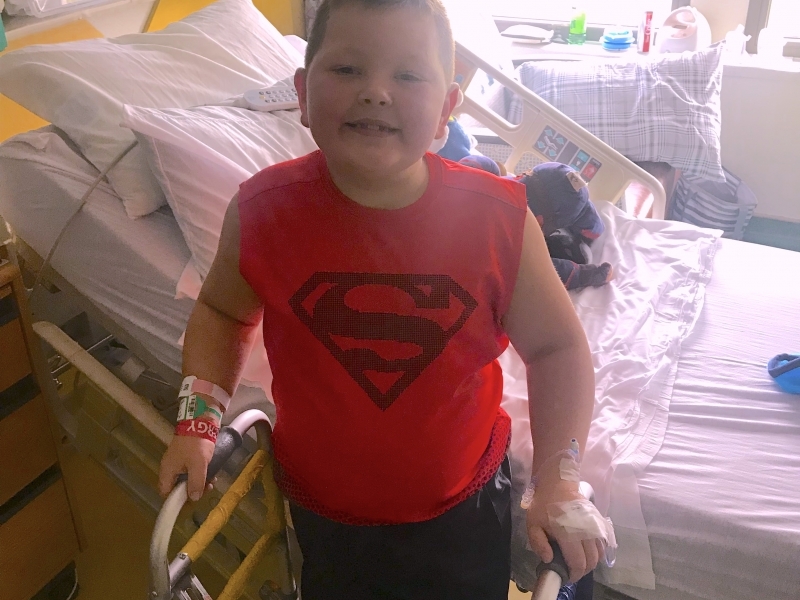 They researched surgeons familiar with LCPD, decided the team at Scottish Rite Children’s Hospital in Dallas was the right fit, and scheduled the procedure for August 8. Yes, that’s TODAY. 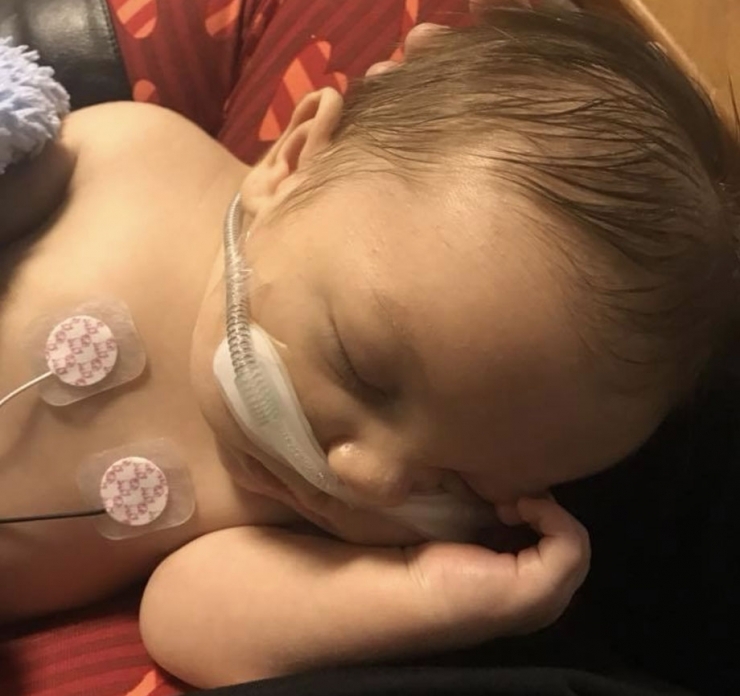 “We never dreamed Gavin would need one surgery, let alone two, and even though we’ve explained it to him the best we can, he’s still scared,” Karen said quietly. Of course he is, he’s barely seven. During our conversation, Karen mentioned how rough life has been the past two years, and – I’m not gonna lie – most of us would crumble under the weight. 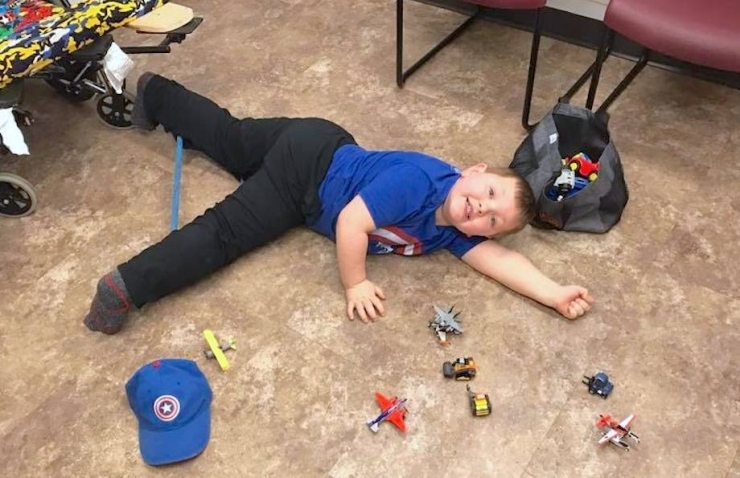 Since January of 2016, Gavin’s symptoms began and he was diagnosed with LCPD; Karen learned she was expecting their third baby, then suffered a miscarriage; Gavin had his first surgery; Gavin’s dad Ed had back surgery THREE times; Karen learned she was expecting again, had kidney surgery, delivered the baby three weeks early, and had kidney surgery two more times; the new baby Dylan spent five days in the NICU and then came down with RSV, requiring 15 more days in the hospital; Ed critically injured his foot; Karen lost her job; and doctors determined Gavin needed yet another surgery. It’s more stress and strain than any family should endure, both emotionally and financially, and Chive Charities wanted to help. 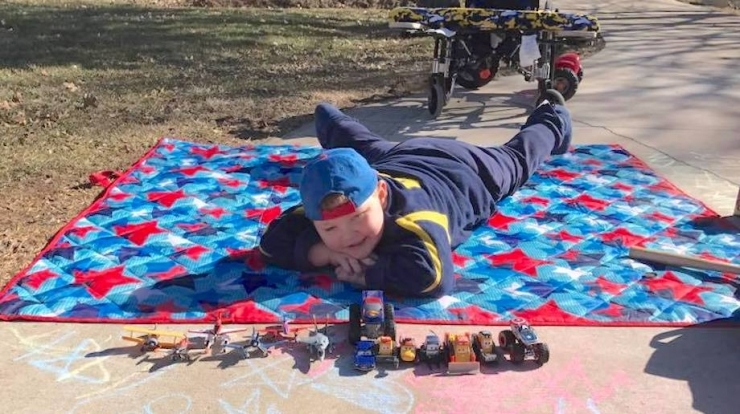 Finding the right specialist for Gavin’s surgery wasn’t too difficult, but getting from Michigan to Dallas for the procedure was a financial burden Karen and Ed just couldn’t shoulder, no matter what they tried. 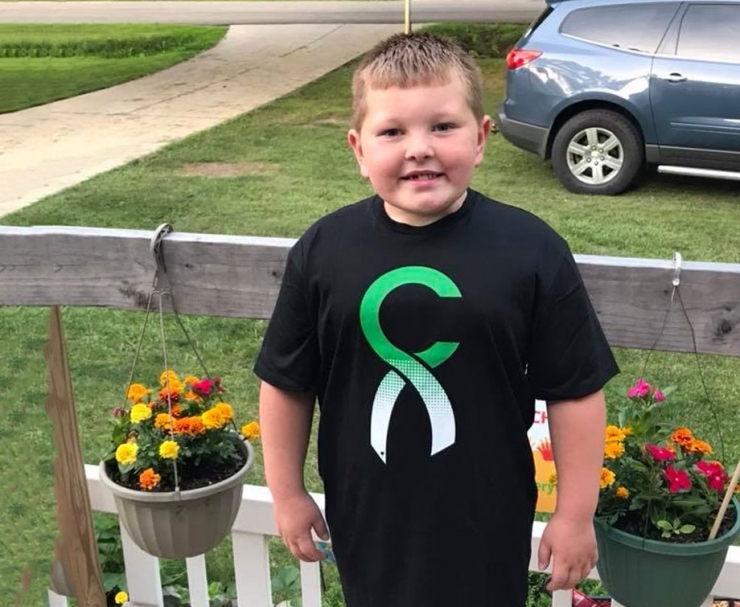 So Chive Charities’ generous monthly donors provided a $3,500 grant to cover travel and lodging to Scottish Rite Children’s Hospital, and today, Gavin will have the surgery he needs. 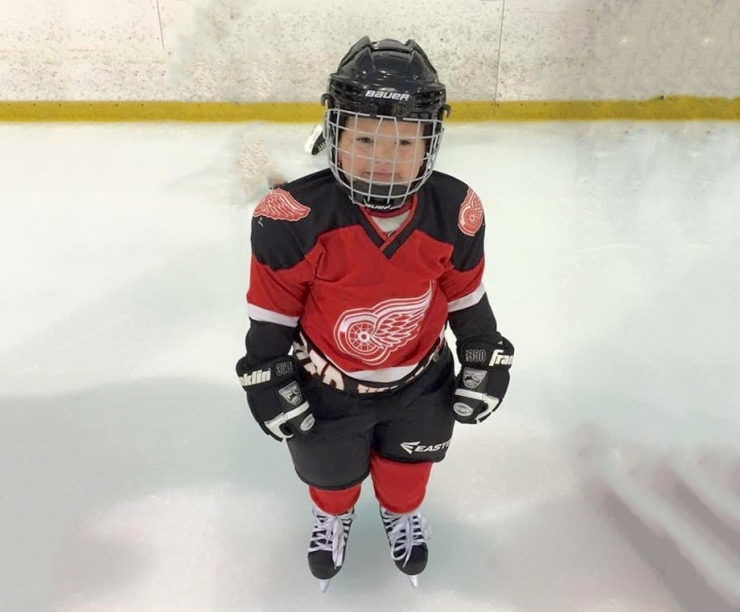 We’ll have an update for you ASAP, but please keep him in your thoughts and prayers on what we hope is the first day of his journey back to the hockey rink. 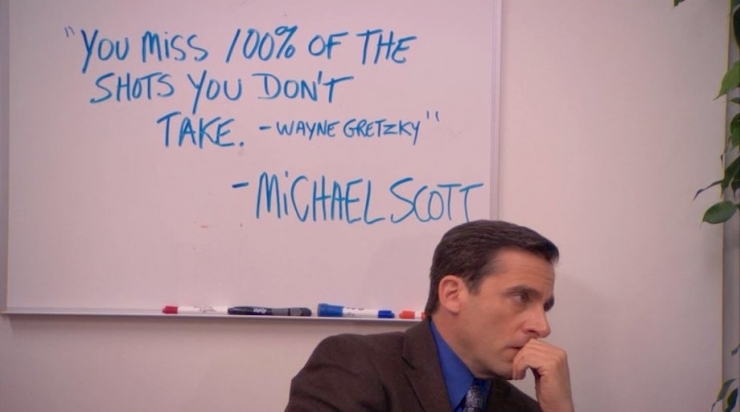 As the great Michael Scott/Wayne Gretzky said, “You miss 100% of the shots you don’t take,” and asking for help can feel like the longest shot of all for many people. We’re so glad Karen reached out when she needed a hand, and even more thankful we could say YES. Champion more risk-takers in their time of need by becoming a Chive Charities monthly donor right HERE.